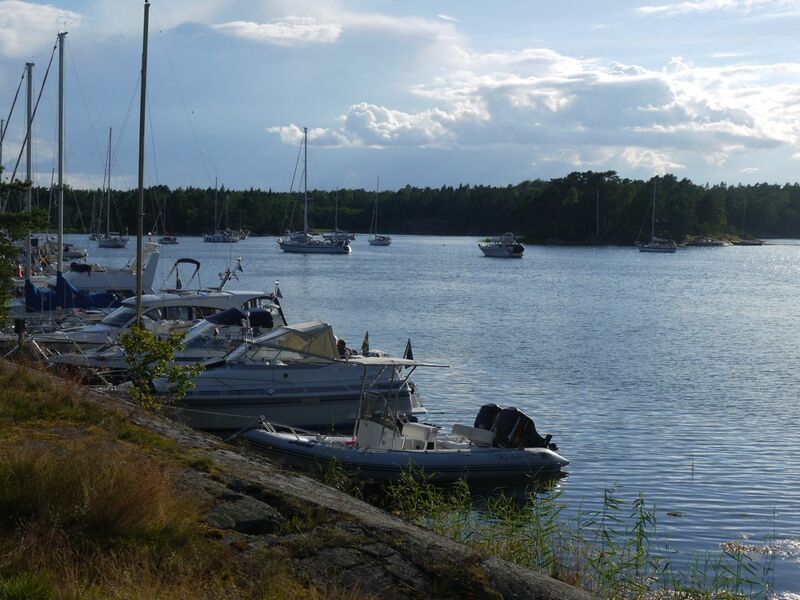 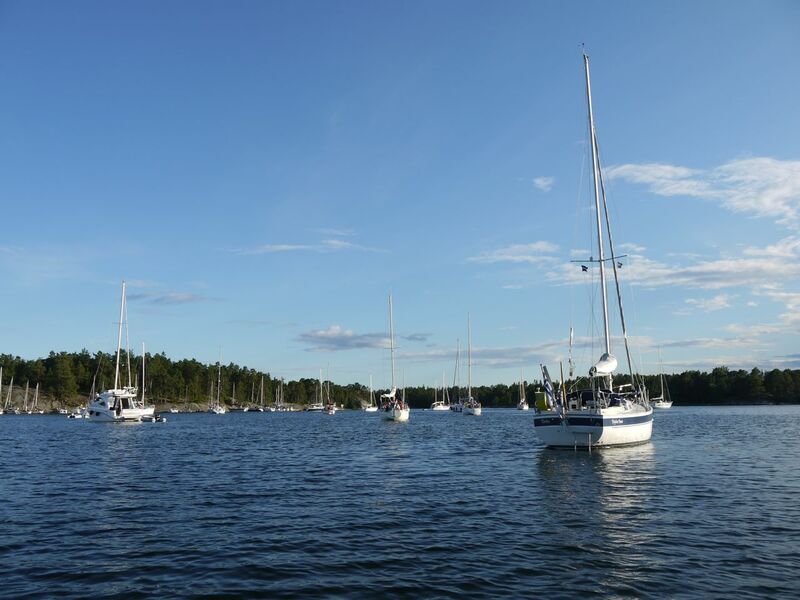 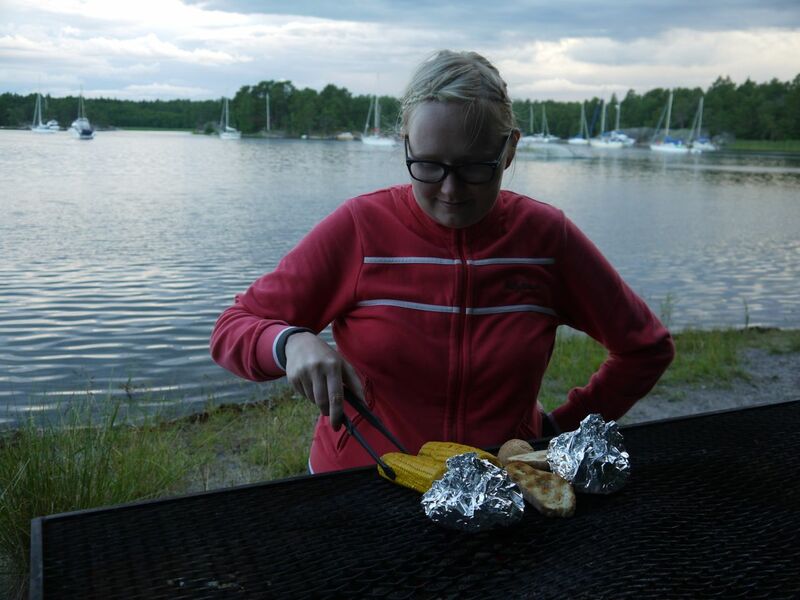 We enjoyed our three nights' stay in Stockholm: the location of the guest harbour Wasahamn is excellent since it is situated so close to the city center on Djurgården. 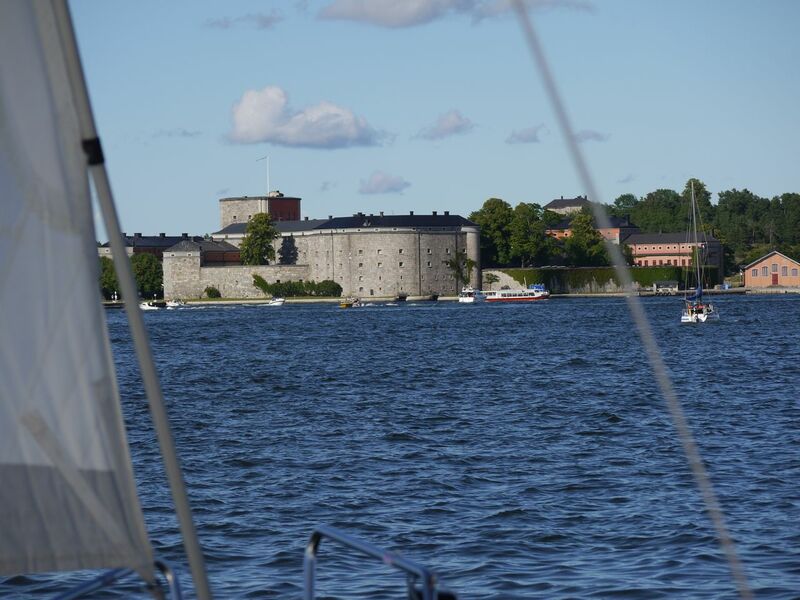 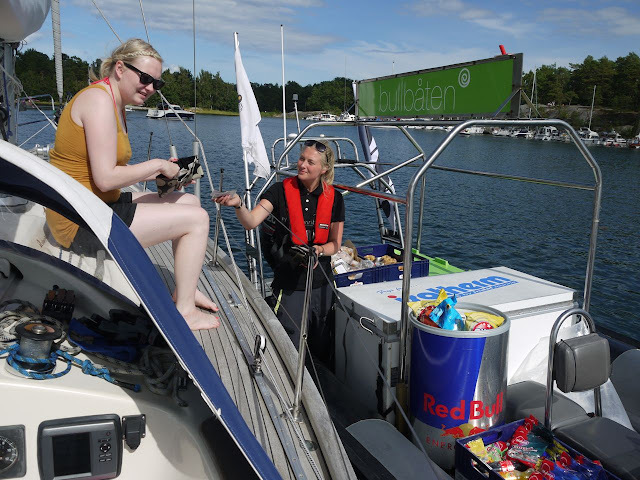 On Thursday, we decided to leave the sunny capital behind and started the journey towards Åland. For a change, we decided to stay at wild anchorages. 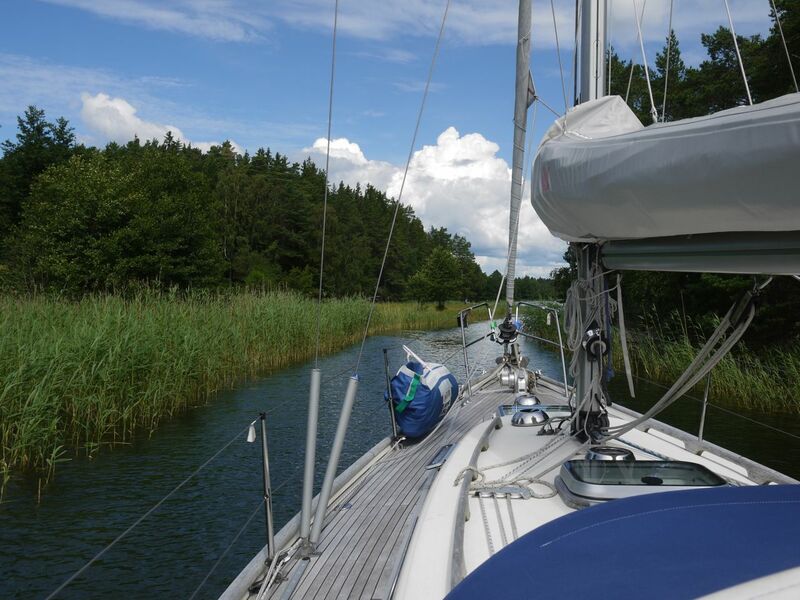 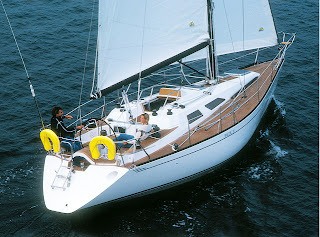 First we sailed to Gällnö, Getudden. 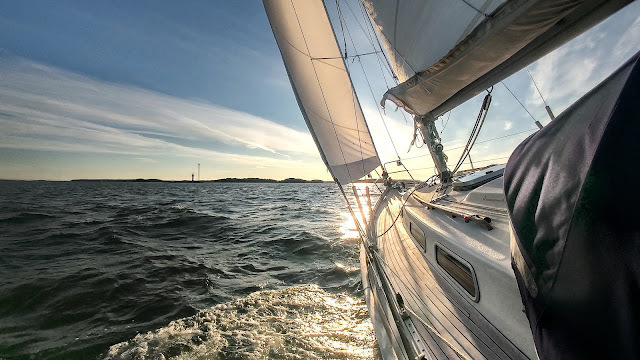 The wind was light so we enjoyed relaxed sailing. 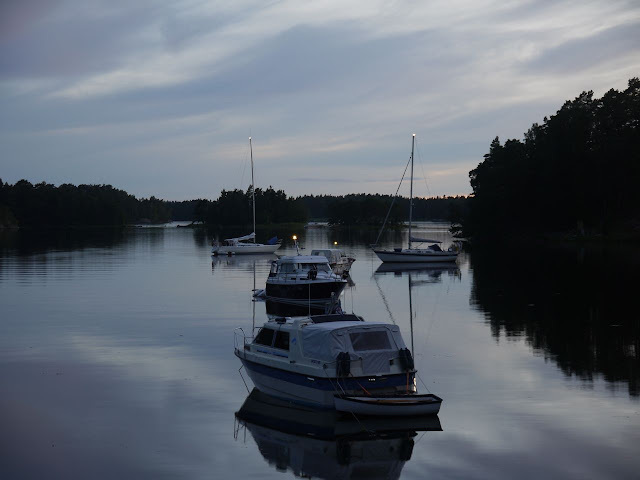 However, the traffic outside Stockholm is busy and all the time there are boats and passenger vessels passing from both sides. 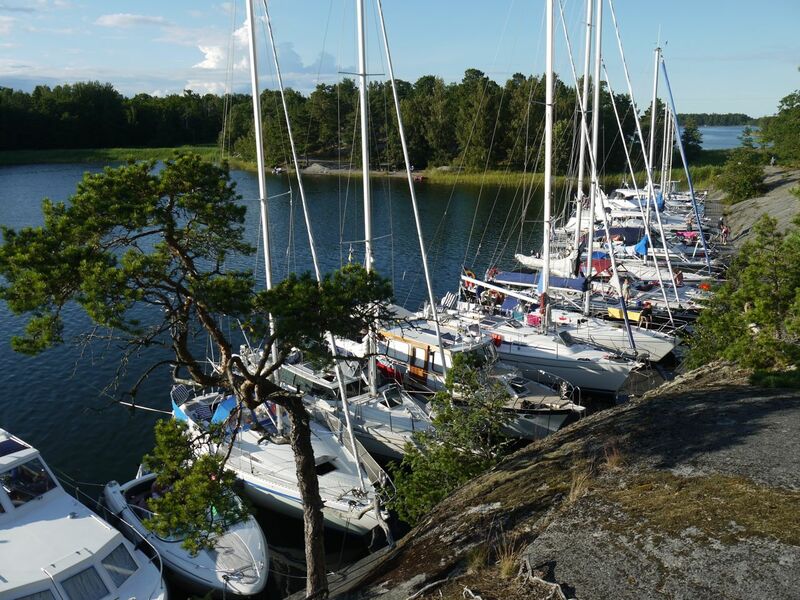 Therefore, there is constant cross-swell in the archipelago near Stockholm.